Want to ask questions or schedule an appointment but just need a little more information? Feel free to schedule a phone consult with one of our physicians. Please check all that apply. This information is not shared with anyone. 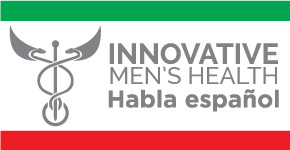 If you're booking an appointment with Innovative Men's Health, and a new customer, Please visit our "WHAT TO EXPECT" section to download our "Intake Packet" for new patients. This form is required for us to be able to see new patients. You are helping me greatly!